Over the weekend I attended the JambaLAya Kidlit Conference in New Orleans. You can read Part One here. Many of the notes I took at the conference not only apply to me as a writer, but could also be advice for my own students as writers. My friend Denise Gallagher is an illustrator and she takes notes in sketches. 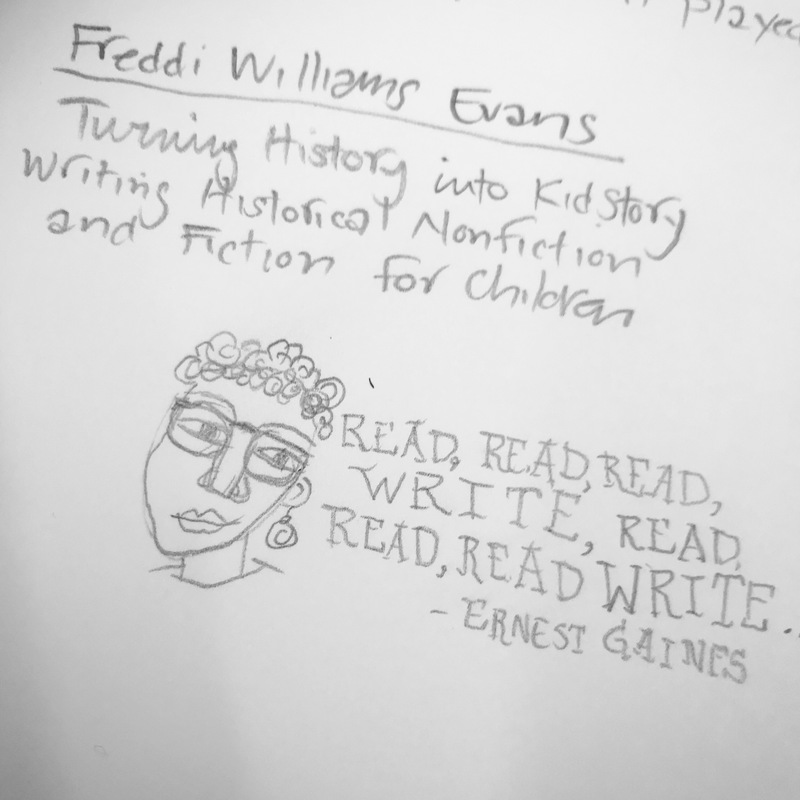 Here is Ernest Gaines’ advice delivered by author Freddi Williams Evans. Show some. Don’t tell all. What are the meaningful themes, subjects behind my writing and life? She reminded us to “Be a mensch!” Ok, new word. It means to be a good person. We also heard from Grace Kendall, an editor with FSG Books for Young Readers/ Macmillan who reminded us of the 25+ questions to ask yourself about your manuscript. And from Laurent Linn, art director at Simon & Schuster who took us through the steps from concept to book cover. I was in awe of these giants who were easily 10 or more years my junior. I am such a novice in this book making business, but they each made me feel like it was doable. If my goals are in the right place, and I have a heart for children, there is room in this kidlit world for me and others like me. 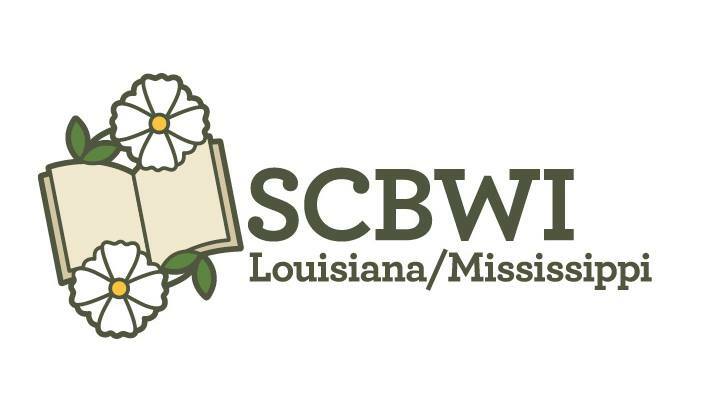 If you are writing for children and ever have a chance to attend a regional SCBWI conference, go. You will be glad you did. I went to a regional SCBWI years ago and thought it was excellent. Thanks for sharing some highlights from your notes (and the great quote sketch!). I love being able to learn from others’ conference experiences. So encouraging to meet all these awesome people! Even if I will never write a children’s book, I would love to attend this conference! So much learning happening! So many interesting insights and great ideas! How great to meet all those authors! “Be a mensch!” Now those are words to live by! Sounds like this was well worth your time! Thanks for sharing your notes and experience. I love your big take-away:” If my goals are in the right place, and I have a heart for children, there is room in this kidlit world for me and others like me.” I also love “Be a mensch!” Ha! There are so many kidlit folks who are good people! There must be something about the heart of a children’s book writer! You should go if you can. So glad you came Margaret. Keep reading, keep writing, keep living the dream. Kids need more stories in any form.